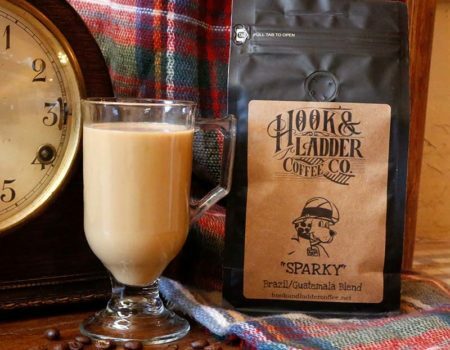 Both our “Sparky” and “Frisky” coffees support the local nonprofit P.E.T.S. Clinic. 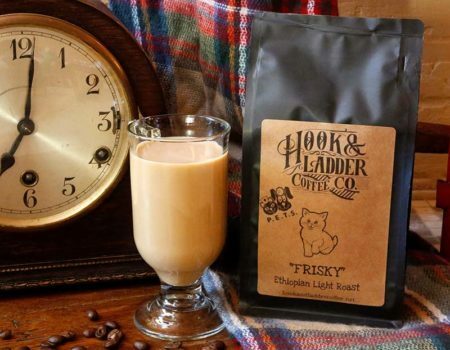 Drink coffee that supports animal welfare! P.E.T.S. provides high-quality, low-cost preventative services and programs to all pet owners and pets in the area. The overall goal of P.E.T.S. is to prevent euthanasia and make sure every dog and cat has a home. A great morning time pick me up! Proceeds benefit P.E.T.S.! Gift Set for Dog Lovers! An awesome gift for the dog lovers in your life! 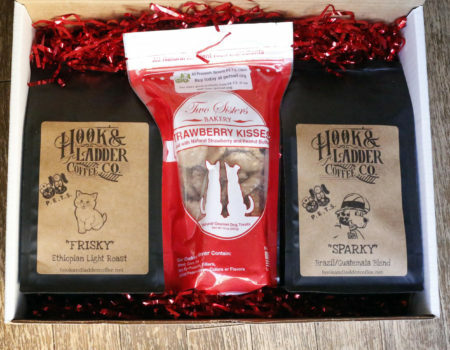 Select two coffees and a great flavor of organic dog treat for one awesome gift box! 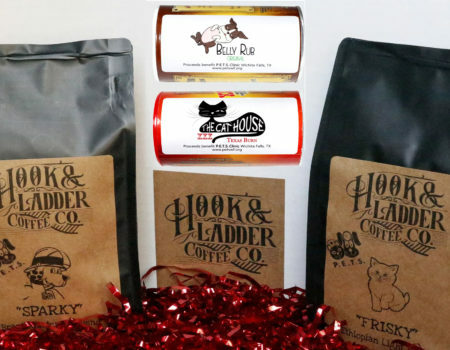 Includes the best healthy dog treats from Two Sisters Bakery! A great early evening coffee with amazing flavor! Proceeds benefit P.E.T.S.! Gift Set for the Grill Master! One mild and one hot seasoning from Kenny’s Seasonings nicknamed “Belly Rub” and “Cathouse” for P.E.T.S. are included in this amazing gift box for the grillers and cooks in your life! Click here to visit the P.E.T.S. Clinic site! Send us a message to learn more about H&L Coffee Co.’s work with nonprofit fundraising! If you’d prefer, you can also simply email us at fundraisers@coffeesandwine.com!